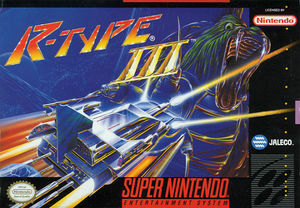 In R-Type III: The Third Lightning the evil Bydo Empire seeks to wipe out our species, and you're the only one who can stop the assault. As the last pilot on Earth, you must fly the untested R-90 against the evil Bydo. Along the way, you can earn force pods (Round Force, Shadow Force, and Cyclone Force) that equip your vessel with different sets of weapons. Blast your way through intense levels filled with enemy inhabitants, large bosses, and challenging obstacles. The graph below charts the compatibility with R-Type III: The Third Lightning since Dolphin's 2.0 release, listing revisions only where a compatibility change occurred. This page was last edited on 20 December 2017, at 05:04.